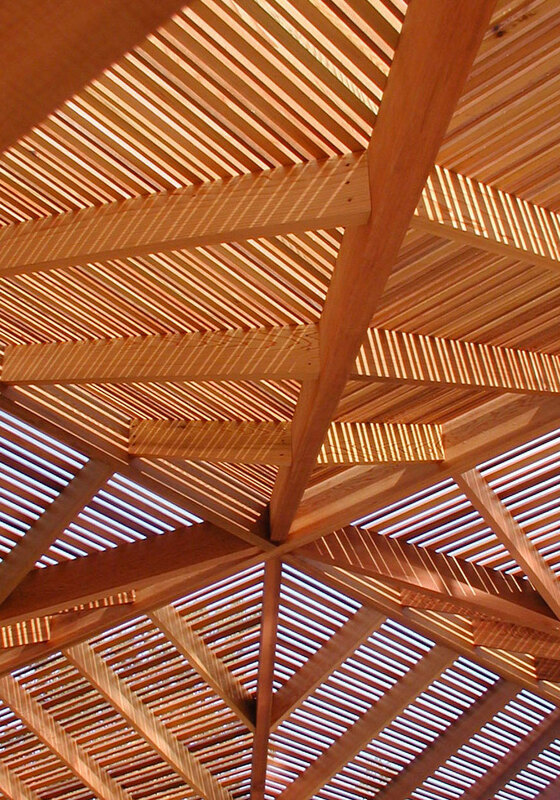 A nursery lath house becomes an interesting exploration in structure and light. By fine tuning the size and placement of the lath skin, filtered light is tuned for maximum plant growth and nutrient value. The resulting light patterns have a strong emotional impact beyond their botanic function.